Our Lady of Sorrows Parish had its beginning in the fall of 1927 when Bishop Michael Gallagher appointed Fr. Edward O’Mahoney as pastor of the area bounded by Six Mile Road (S), 14 Mile Road (N), Beech Road (E), and Haggerty Road (W). A narrow strip of land along Shiawassee Road, including a "big white house" on the corner of Power Road was purchased. The house served as the parish rectory for many years. The first Parish Mass was celebrated in "the Villa," (now the St. Vincent-Sarah Fisher Home) on the second Sunday of September, 1927. The men of the parish began working immediately on a temporary Church and by the first Sunday of November, Fr. O’Mahoney was celebrating the first Mass in the 125-seat small frame Church, called the "Little White Church on the Hill." The original 75 families were an energetic group and had soon organized an Altar Society, Holy Name Society, a Conference of St. Vincent de Paul Society, an Ushers group and a Choir. Fr. James Callahan was named pastor in September, 1928, the same year that an addition to the church doubled its seating capacity. The depression years were difficult for the parishioners but, despite hardships, they continued their generous support of the parish and the St. Vincent de Paul Society. Religious education classes began in the early 1930’s and grew steadily over the years. In March, 1932, Fr. John Larkin became pastor. People continued to move to the suburbs from the city of Detroit; soon four masses were needed each Sunday and an assistant was appointed. Eight acres of land on Grand River near Orchard Lake Road were donated to the parish by Mrs. C.F. Smith, and a three-room school was built by her son, Henry, on the site which was to include the permanent church. Dominican Sisters came from Adrian to staff the school, which was enlarged two years later. The first Sorrows school bus was purchased in 1939 and two more additions were made to the school in 1940 and 1941. Scout troops were also organized in the early 40’s and a parish bulletin was available at the cost of 5 cents per copy. On October 26, 1943, Fr. Thomas Beahan became the fourth pastor of Our Lady of Sorrows which, by 1944, numbered 500 families. Mr. Charles D. Hannan was engaged to develop plans for the permanent church on the Grand River-Orchard Lake Road site. By this time, the school was already overcrowded and religious education classes were being held for students of all grades. The parish continued to raise funds for a permanent church but it became apparent that the original building site would develop into a commercial area while the Power Road area would be more residential. So, in May, 1945, when the Archdiocese transferred 12 acres of land to Our Lady of Sorrows - extending the parish property from Shiawassee to 10 Mile Road - the new permanent site for the parish was selected. Mr. Hannan's master plan for the building included a school and a gymnasium (temporary church), a convent, church and rectory. The new grade school housing 400 students was opened in the fall of 1948. The gymnasium-church was finished by December and seated 750 people with an unobstructed view. The first Mass, a solemn high Mass at midnight, December 25, 1948, was celebrated by Frs. Beahan, Cushing and Clemens and was attended by 1000 parishioners. Sometime after this, the Little White Church was torn down to make room for the permanent church. The 50’s and 60’s were decades of growth and change for the parish. The second unit of Our Lady of Sorrows grade school and the convent were finished for the beginning of the 1953 school year, and, through the generosity and hard work of parishioners, was paid for by the end of 1953. Work began on the high school in 1954. Our Lady of Sorrows High School graduated 44 seniors in June, 1958 and over 1,400 would graduate before its ultimate closing in 1971. Fr. Beahan formed a parish council to be an overall advisory body assisting the pastor in coordinating parish affairs in 1955, ten years before Vatican II called for such a group. A simple design for the permanent church, so arranged that 1,200 people could be as close to the sanctuary as possible, was agreed upon in 1959, and ground was broken in November. Construction was soon under way. In October of that year, Fr. Beahan received the title of Right Reverend Monsignor. The first dialogue Mass was celebrated on March 27, 1960. The new rectory was opened in January, 1961 and the "Big White House on the Hill" was torn down soon after. On March 25, 1961, Archbishop John Dearden dedicated the new Our Lady of Sorrows Church and the next day, Palm Sunday, Masses were offered in the new and permanent church. As the population of the Farmington area increased during the 50’s and 60’s, new parishes were formed from Our Lady of Sorrows: St. Agatha, St. Fabian, St. Coleman, St. Priscilla, St. Alexander, St. Aidan, St. Gerald and St. Clare. In 1964, on the first Sunday of Advent, the English liturgy was used at Our Lady of Sorrows, and in June of that year, the altar was moved forward and lowered three steps to make it possible for the priest to face the people. Because of the weight of the altar, changes had to be made in the church floor structure to support the altar in the new position. At the request of the Archdiocesan School Office, a parish school board was formed in 1967 and in 1968, an Adult Education Commission was formed. 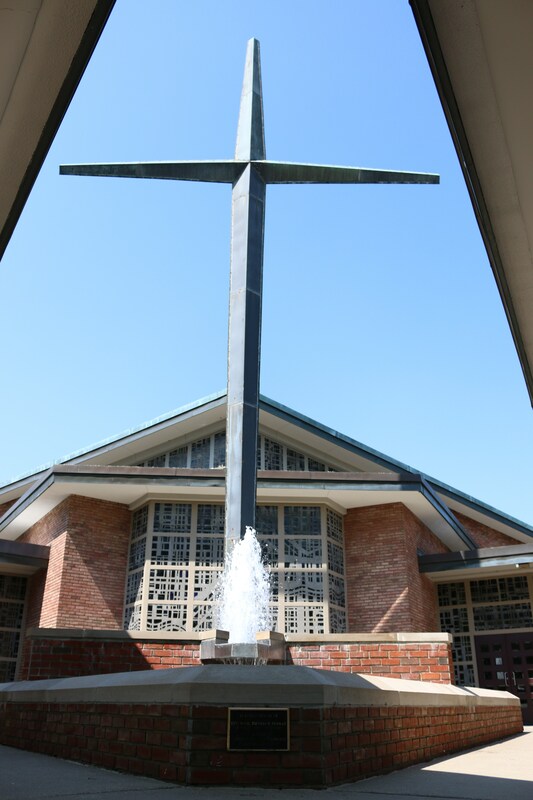 The Southfield-Farmington Vicariate was one of 26 formed in the Archdiocese in March, 1969. Because of increased cost and diocesan spending limits, the high school was closed in June, 1971. It was decided to use the building for junior high classes and increase enrollment in grades 1-9. Msgr. Beahan retired on September 1 of that year and the junior high was named in his honor. Msgr. Joseph Imesch succeeded him as pastor. Senior citizen meetings were initiated at Our Lady of Sorrows in 1971 and the "Candles and Carols" program was first held December 1971 when the new organ arrived. In 1973, Msgr. Imesch became an Auxiliary Bishop of the Archdiocese but continued as pastor. The School Guild was formed in 1974 in order to keep tuition costs down and provide volunteer assistance to the teachers. 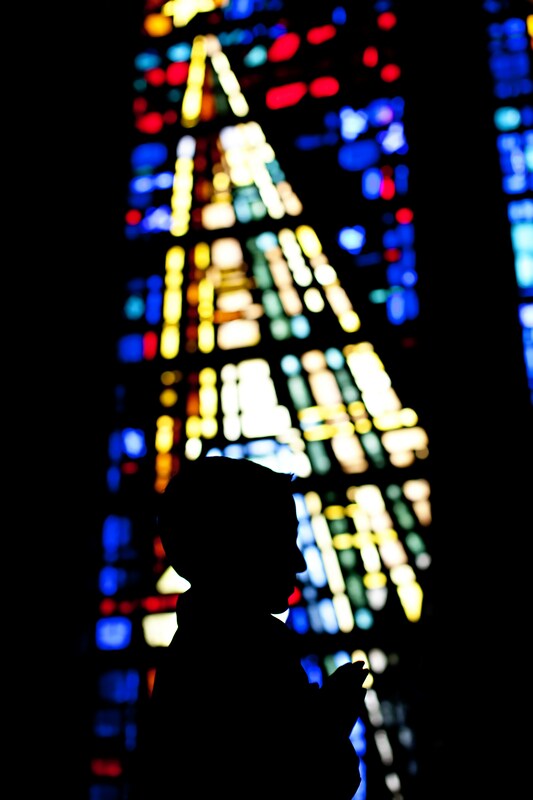 In 1976-77, new sacramental preparation programs involving families, children and teachers were begun. During the 1970’s an active Teen Club existed. The new confessional rooms were remodeled and opened for use about 1976. Bishop Imesch was reassigned in the summer of 1977 when the diocese was restructured and Father Kean D. Cronin became Pastor on June 28, 1977. The 1980’s were a time for improving and maintaining the parish facilities: landscaping, conversion of convent rooms into meeting rooms, air conditioning, a new nursery, and development of the Learning Resource Center. Improvements in educational and enrichment programs were also developed. 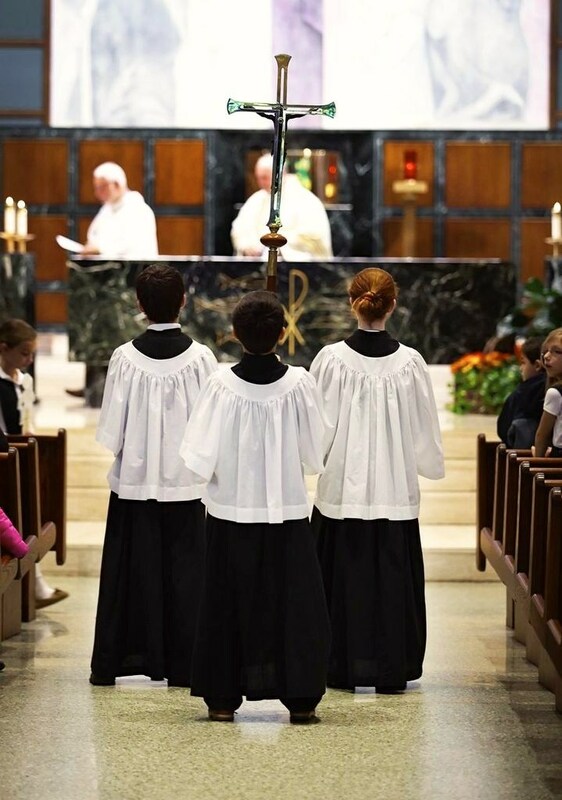 These included the Rite of Christian Initiation for Adults (RCIA), Vacation Bible School, Life Involves Family Enrichment (LIFE), Meeting Other Mothers for Support (M.O.M.S. ), CYO sports teams and others. Parishioners continued to grow in their faith as evidenced by their support of Christian Service projects such as St. Leo's Soup Kitchen, Stephen Ministry, Respite Care, CROP Walk, South Oakland Shelter (SOS), food collections, blood drives, and many other activities. In June 1990, Fr. Cronin was reassigned to St. Genevieve's in Livonia and Msgr. Walter A. Hurley became pastor. The 1990’s were a time of growth for the parish and the parish facilities were renewed and expanded. During this time, the parish grew from 2,600 to 3,100 families. Enrollment in the school increased by several hundred students in the last several years bringing enrollment for 2000-2001 to 965 students. Enrollment for the 2001-2002 school year is anticipated at 990 for K - 8, and approximately 60 in pre-school. Because of this tremendous growth, a new Family Center was constructed including a chapel for small funerals, weddings and other services; a gymnasium that can be used as a multi-purpose facility; meeting rooms; and an early childhood center for Kindergarten and pre-school programs. In August of 1999 the old gymnasium that once served as the church was demolished to make way for expanded school facilities. A connector was added between the two sections of the school, allowing the building to function as one. 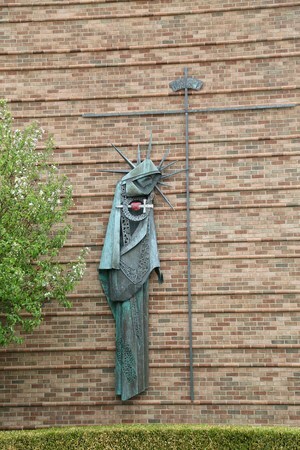 A free-standing sculpture of Jesus playing with children was added in front of the school. Many improvements to the facilities have taken place and programs and staff have expanded to meet the needs of the parish. Msgr. Hurley served as pastor for 13 years, as well as serving in other significant positions for the Archdiocese of Detroit during those years. On August 12, 2003, Msgr. Hurley was ordained an Auxiliary Bishop at Blessed Sacrament Cathedral. On December 7, 2003, Fr. John West, a theologian with Archdiocesan responsibilities as an ecumenical and interfaith adviser, was installed as our parish's eighth pastor. 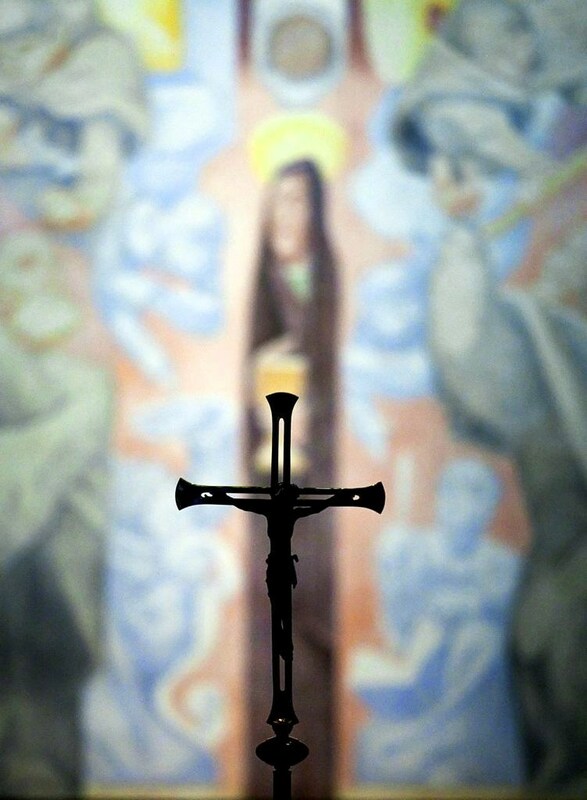 On April 14, 2005, the parish community was stunned to learn that Fr. West had died from a sudden heart attack at the early age of 52. His funeral Mass was attended by a standing-room-only gathering, concelebrated by Bishop Hurley, Bishop John Quinn, and nearly 90 priests, as well as respresentatives from other faiths. Fr. Mark Brauer became the ninth pastor of Our Lady of Sorrows on August 27, 2005. Fr. Brauer soon announced his pastoral mission: to find ways to reach out with the Good News of the Gospel to everyone in the parish. The Gospel mandate is to help all parish members become part of the community and take part through daily witness of faith. With close to 3,000 families in the parish, one of Fr. Brauer's first projects was to get to know the parishioners. He reinstated the parish picnics of old and set the stage for other parish social functions. Importantly, he was the driving force behind a parish pictorial directory. He continues to lead the flock at Our Lady of Sorrows.